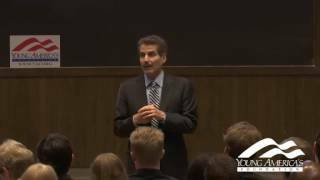 John Stossel is the New York Times best-selling author of Give Me A Break and Myths, Lies and Downright Stupidity. His “Give Me a Break” commentaries take a skeptical look at a wide array of issues, such as education, the economy, parenting, and more. Prior to Fox News, Stossel was with the ABC news magazine,”20/20,” since 1981. He began doing one-hour primetime specials in 1994. Stossel has received 19 Emmy Awards. He has been honored five times for excellence in consumer reporting by the National Press Club. Among his other awards are the George Polk Award for Outstanding Local Reporting and the George Foster Peabody Award. In his early years at ABC, Stossel served as consumer editor at “Good Morning America.” Prior to that, he was consumer editor for WCBS-TV in New York City. He began as a researcher for KGW-TV in Portland, Oregon. He is a 1969 graduate of Princeton University with a B.A. in psychology.